Joonas Viljami Suotamo (Finnish pronunciation: [ˈjoːnɑs ˈsuotɑmo]; born October 3, 1986) is a Finnish basketball player and actor. He is 2.09 m (6 ft 10 in) tall. Suotamo attended Pennsylvania State University (PSU) and played the power forward and center positions for the Penn State Nittany Lions. With childhood interests in music, arts, and movies he studied film and video at PSU. He was a body double for the Chewbacca character played by Peter Mayhew in Star Wars: The Force Awakens and will play the role for Star Wars: The Last Jedi and the Untitled Han Solo film. 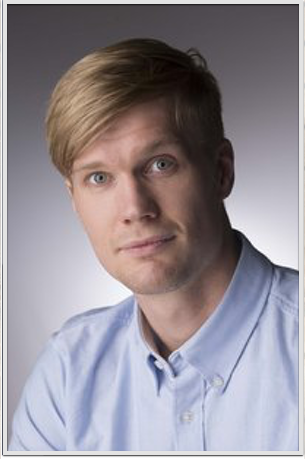 As a youth, Suotamo performed roles as a stage actor. He was a strong academic performer at Penn State, where he was twice named to the Academic All-Big Ten team, and graduated in 3.5 years with a Bachelor of Arts degree in December 2008 in order to fulfill his Finnish conscription service and to pursue a career in film. He played professionally in Europe for the Espoo team from 2011-2015. Suotamo is an actor and musician but his height limits available acting roles so he’s also concentrating on directing.